Welcome to this adorable, well-maintained home in the highly desired Hawk Creek North subdivision! 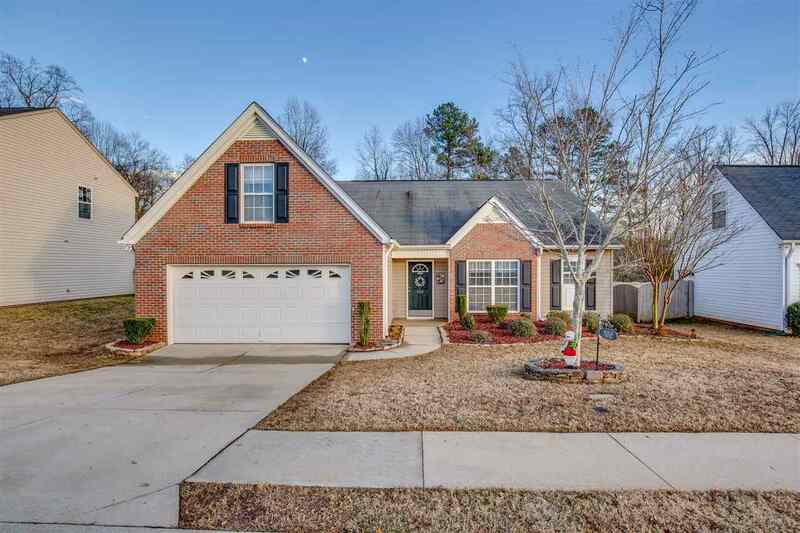 This home has so many great features to offer, starting with the incredible location right off of 29, which is convenient to both Greenville and Spartanburg and is zoned for the excellent District 6 schools. Inside you'll find a great floor plan with a large family room (including a gas-log fireplace to curl up to during the winter months), all bedrooms conveniently on the main level, and a bonus room upstairs that you could use for a playroom, office, âman cave, â etc. The large master suite includes all the amenities you could ask for at this price - walk-in closet, master bathroom, and vanity that is accessible separately from the bathtub and toilet. Your children and pets will spend hours playing in the fully fenced-in backyard, which is completely level, private, and extremely low-maintenance. With a screened-in back porch in addition to a covered patio, you'll have tons of fun grilling out and entertaining guests outside all summer. Last but not least, Hawk Creek North is the ideal family neighborhood, with great amenities that feature a pool, common area maintenance, sidewalks, and street lights in a quiet, family-friendly environment. Don't let this one slip past you!